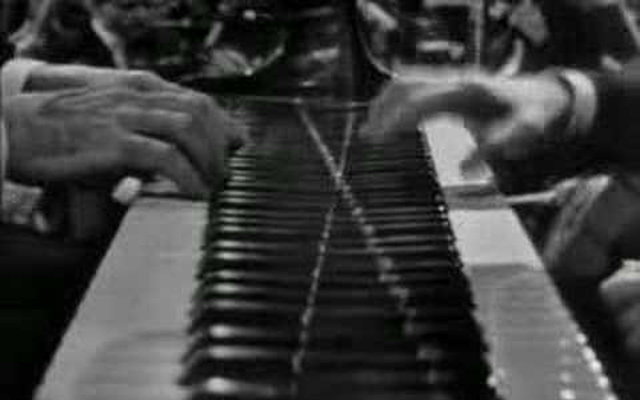 The European musician may have ‘freed’ the piano from its traditional mode of playing long before the 1960s jazz so-called ‘avant-garde’ movement took over the United States scene and later the rest of the world. However, it was pianists such as Thelonious Monk, Cecil Taylor and Don Pullen and more than anything else the transformative inventions in the 1940s of the seminal bebop innovator Charlie Parker that heralded change, melting the boundaries of almost every form of music forever. Parker’s innovations affected not just the saxophone but the melodic idiom of all manner of instruments, from the piano, to trombone and double bass. While the Americans were busy arguing about the legitimacy of Charlie Parker and bebop, Ornette Coleman stepped in and advanced the art of improvisation; and like Parker, as well as Cecil Taylor, he altered the very topography of the piano by changing the approach to melody. But as Cecil Taylor continued to show us, melody was king. Moreover Taylor also continued to show that ‘dance’ was critical to the melodic line. Time and time again he played music that made you want to get up and dance. Taylor was also unapologetically lyrical and proved this by accompanying poetic recitations. All of this was and is not lost on Werner X. Uehlinger, whose vision of the changing scene has continued to enable him to cultivate what is new and viscerally exciting on his iconic label Hat Hut. All of the historic changes in music is also not lost on the pianists here. Their work on the instrument of their choice – like that of Monk and Taylor – continues to join the dots from stride to swing, bebop and free improvisation. Throughout both let you get the feeling that you are dancing with genius. The quality of this playing on Ammentos is altogether exceptional. Pianist Claudio Sanna takes nothing for granted in music. Nor should you in listening to him. If you know how the music of improvisation goes, then this almost certainly isn’t for you because what Sanna does is almost wildly idiosyncratic and provocatively iconoclastic. He also plainly understands how free improvisation works and more, although he does not pretend to be a prophet he plainly understands how every note and every phrase he plays is just one possibility, and here he offers us a very enticing opportunity to open our minds, especially to a music that is no longer burdened by the hardening of tradition. Conversely Sanna’s work takes his very Sardinian traditions and, keeping them elementally as they are, he chips away at their moldy interpretation and makes them new. 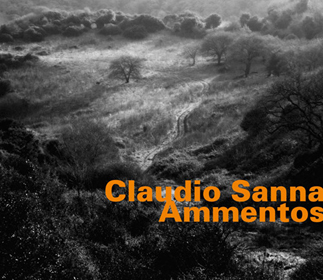 In the music of ‘Sant’ Andria’ and ‘Claretta’ for instance, Claudio Sanna takes you into another world. It’s full of glinting lights, mysterious depths, expectations, frustrations, hopes and doubts, like the shattered shadows of a sinister quasi-Sardinian Scherzo glimpsed by moonlight in a rocky promontory. Track List: Ichnos; Sa Rocca Entosa; Sant’ Andria; Marroculas; Zisca; Claretta; Sonazzos; Mariposa. 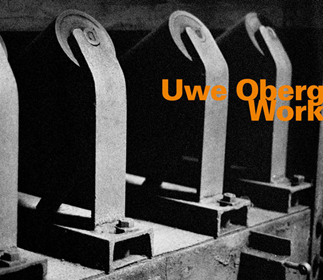 In sheer colour and variety, in the depth of the characterisation and the exceptional range and refinement of pianism today, Uwe Oberg here imparts a power and monumental stature to the all-pervasive influences of the great musical inventors from Charlie Parker and Thelonious Monk to Ornette Coleman and beyond. In the variety and stylishness of his repertoire here – especially in Charles Mingus’ ‘Fables of Faubus,’ in John Coltrane’s ‘Crescent’ and Monk’s ‘Work’, – Oberg brings an elemental urbanity and lyricism to all of items on the programme here, which are as seductive as they are persuasive, and an object lesson in the very essence of style. The Monk tunes are played with buoyant, aristocratic grace and psychological ambiguity, and he is (rightly) almost insolently effortless, bringing debonair virtuosity and swagger when it comes to the standard repertoire and sassy swing to his own writing and performance of those compositions. Nor do the treats end with Monk, Mingus and Trane. There is a stunning rendition of guitarist Fred Frith’s ‘Muddy Mouse’, which is virtuosic and goblinesque and ravishingly subtle to boot. All in all, a world of piano styles evoked as few could even hope to try. Track List: Hill; Fables of Faubus; WRU; Kelvin; Crescent; Pannonica; Olo Olo; Muddy Mouse; Work.